The old man’s face was beautiful, although it was etched with deep furrows — no doubt the result of having lived through droughts, famines and 17 years of a brutal and paranoid communist government that has slaughtered half a million of his countrymen. He was begging at the window of the minibus in which I was travelling. Ethiopia is full of faces that tell amazing stories. 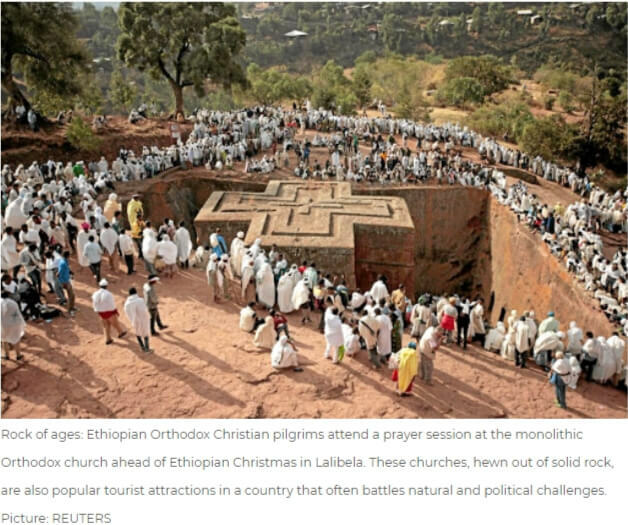 For many visitors, a highlight is the ancient rock churches of Lalibela — 11 churches hewn out of solid stone. But for me it’s encounters with the living that will linger — like young Ebabi Getnet, who walked with me through Lalibela’s dusty, unpaved roads and told me he had been training to be an engineer until his sister died in childbirth.